Mobile devices have become our trusted sidekick we use to navigate through modern times by giving us unrestricted access to the internet and its vast reserves of knowledge. However, this does come at a price, mobile data, especially in developing nations can be extremely expensive and limits their access. Another pain point of mobile data is that it is restricted to regional providers, not many cellular carriers allow you to use your mobile data across borders and when they do, they charge users a premium. But this could all be a thing of the past if on cryptocurrency has its say on the topic. Dent coin aims to disrupt the mobile operator industry by creating an open marketplace for buying and selling of mobile data. 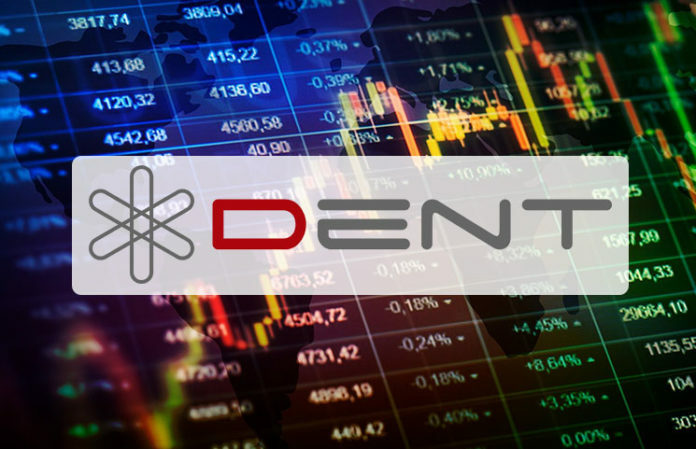 Dent coin was launched by a company called DENT Wireless Limited with the purpose of creating DENT was the idea of repurposing data, and the way data is being stored, shared, paid for and sold. Dent is focused on becoming the first mobile data cryptocurrency where Dent developers are hoping to transfer coin operations to mobile usage, that way disrupting the by far known system of the global telecommunications industry, aiming at revolutionizing the way people are exchanging data. Dent Wireless is backed by the serial entrepreneur and Internet pioneer Mikko Linnamäki, who co-founded DOVECOT, the world’s most popular IMAP server with a 72% global market share and an install base of 4 million Dovecot servers. Dent aims to become the global exchange for mobile data where the world’s mobile data is sold, bought or donated, just like other commodities such as currencies are traded today. DENT will make data pricing transparent, and through automated bidding increases the efficiency of purchase, just like spot markets and mobile advertising today. Dent uses Ethereum blockchain for exchanging, selling and even donating data and what is revolutionary about this digital asset is the fact that Dent is seeking to transfer all operations to mobile devices so that the users would be able to make transactions and manipulate data by using mobile devices. What is Dent used for? Over the past few years, mobile data has become very important and valuable commodity just like Gold. It’s a commodity that many people around the world rely on not only to improve their lives by access to the internet but in many countries data is used as currency, people trade data or goods and services. The current data market paradigm makes data a volatile commodity and many users do not extract the full value of their purchase as “data expires” and they essentially lose an asset they paid for. Data also becomes expensive when travelling as data relays between international carriers also place the cost on the consumer in order to access the internet instead of allowing data packages to access local access points. Using the ecosystem of DENT, users are able to connect to one another using the Ethereum blockchain and buy, sell or exchange data packages from all over the world freely in a peer to peer transaction. What services will Dent provide? Dent wants to become the worldwide currency for mobile data. With its “Data Sharing Economy”, users will be able to buy, sell, or donate their mobile data. It will remove the causes behind large data roaming costs, such as the expensive routings between telcos. This will then lower the costs for the users. It will set up the ability to auto-purchase mobile data from the most suitable operator in the user’s region. This will eliminate the problem of getting too much or too little data and will provide the user with the best possible price for their needs. Dent currently has a working product in its mobile app, however, data packages are limited to the countries and carriers they have agreements with. While Dent may be far off disrupting this industry it poses a serious question on the future of mobile data and how rigid service providers have become. Mobile data packages have become a valuable commodity in modern society and having more freedom and the ability to trade the value that data provides will only prove to increase global competition and hopefully provide better pricing for the consumer. If you want to know more about mobile marketing services and how that can be applied to your business, feel free to contact us here.